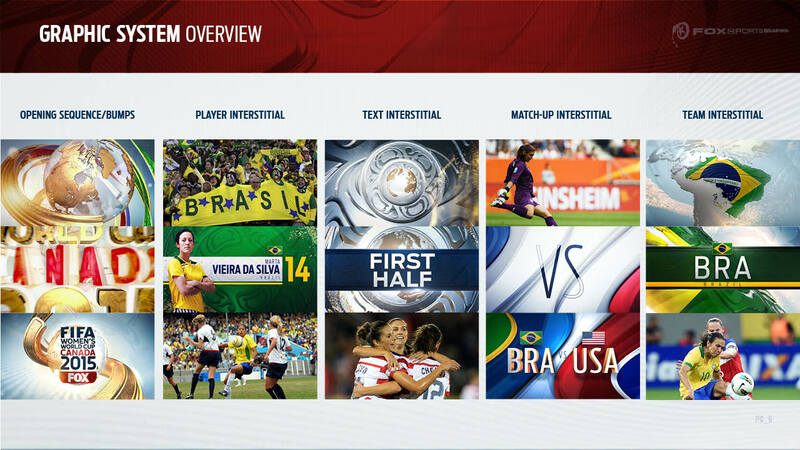 All of us at |drive| were thrilled to be an integral part of the 2015 Women’s World Cup team at Fox Sports that were awarded 37th Annual Sports Emmy® Awards for OUTSTANDING PRODUCTION DESIGN/ART DIRECTION & OUTSTANDING TECHNICAL TEAM STUDIO. What is most thrilling for us is that this project was much more than your typical live-event package. 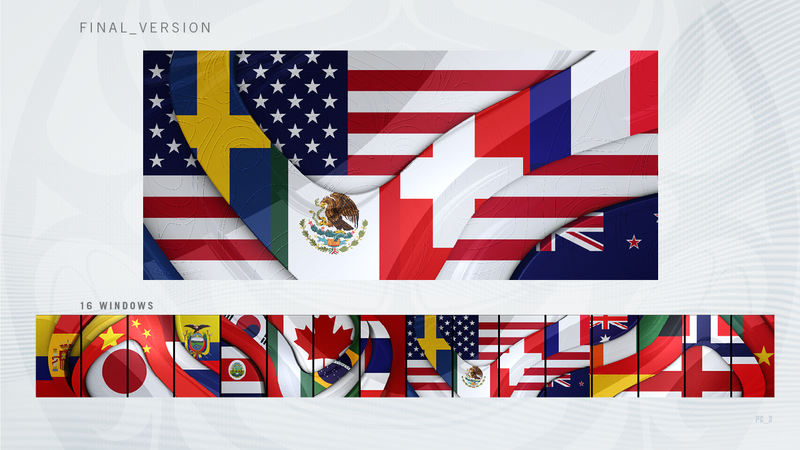 On this project, |drive| was charged with initiating and developing a graphic theme which threaded throughout the entire Women’s World Cup presentation; including a stunning and comprehensive identity package for the studio broadcasts, an on-air promotional system, monitor graphics, physical set pieces, & large scale environmental prints. 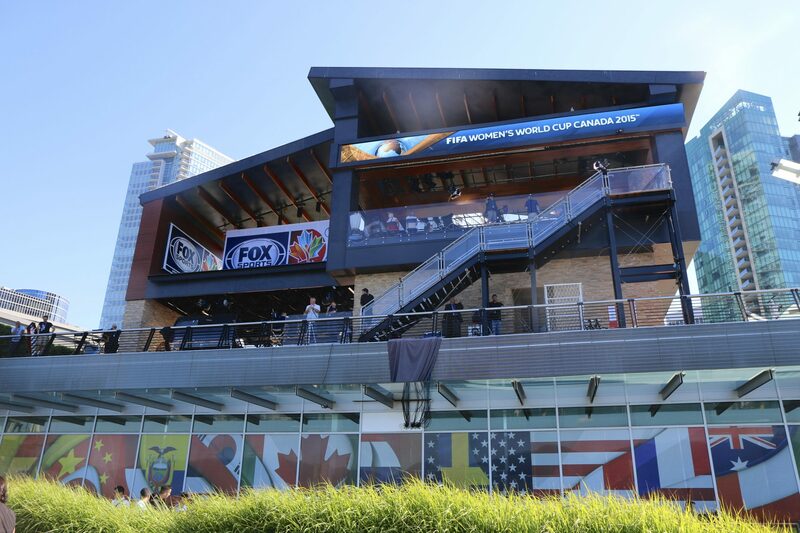 Many of our elements were used in the JHD Group’s set creation at Jack Poole Plaza, FOX Sports’ Vancouver production hub for the month long event. 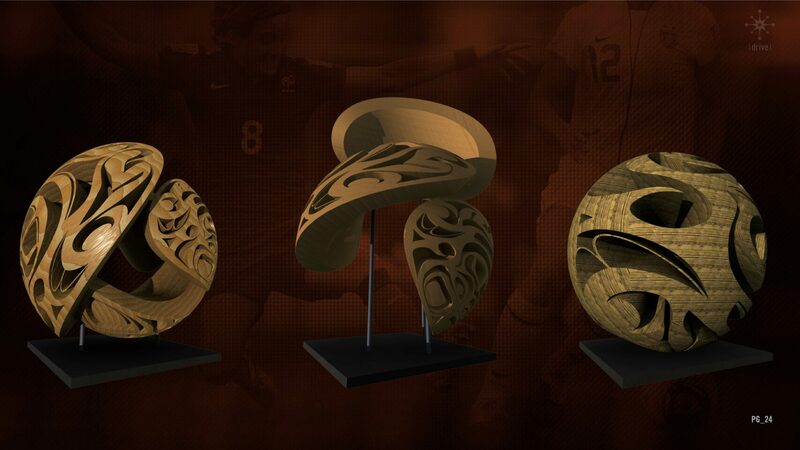 The overall concept, entitled First Nations, was generated to communicate the international flavor of Vancouver as the host city, link the indigenous culture of Canada to this world event, and celebrate the grandeur of the 2015 Women’s World Cup. 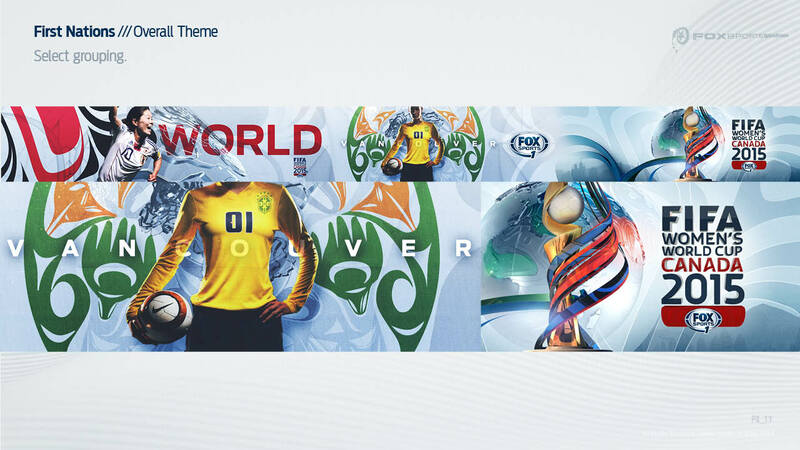 The overall system of animation provided Fox Sports with the hard working and functional elements of the package. This system also established a base for the promo, set enhancement, and monitor graphic systems. Along with the live-event graphics, |drive| created a complementary promo system that threaded the First Nations live-event package throughout the month-long event. 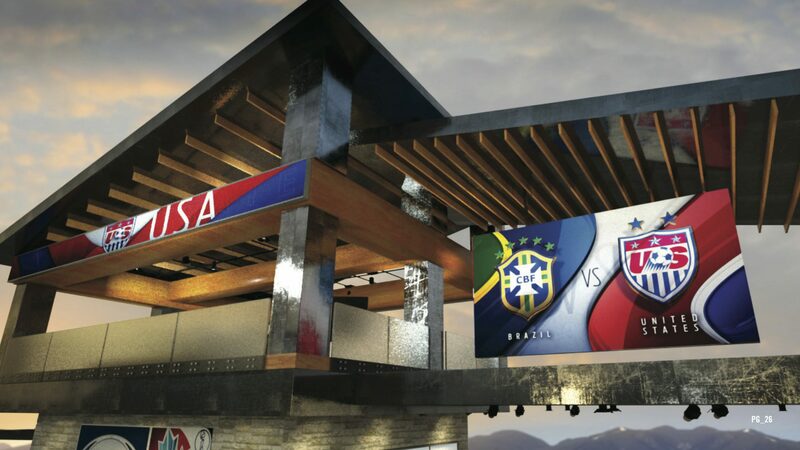 In addition to the live event and promo graphics the First Nations concept established an overall mood of the set that carried throughout the broadcast. This included 3D sculptures, themed pillows & carpeting, a 1200 square foot window decal, & crowd barriers. 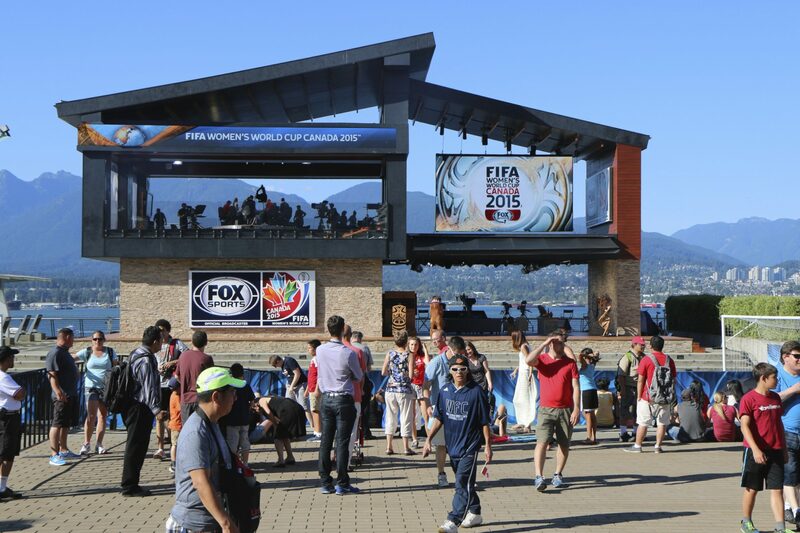 The monitor graphic system of animation was designed to work not only within the World Cup studio broadcast, but also to serve as an exciting, informative, and branded environmental display seen the many fans that congregated daily at Jack Poole Plaza. All of us at |drive| would like to thank Gary Hartley & team for the opportunity to be a part of this historic event!